NSW or Sydney motorists were in for a pleasant surprise when the NSW Government announced reforms to the CTP Green Slip scheme, in December 2017. 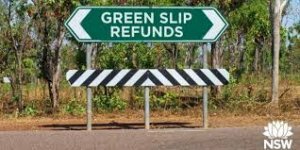 The reform meant that over 4 million NSW motorists were eligible for green slip refunds, ranging anywhere between $10 to $120. The reforms were aimed to make Green Slips more affordable, as well as to provide better support for those injured on NSW roads. Other objectives of the reform include efficient and quicker resolution of claims and reduced opportunities for fraudulent and exaggerated claims. Check out the before and after premium prices to get a better idea of how much money you may save under the new CTP scheme. 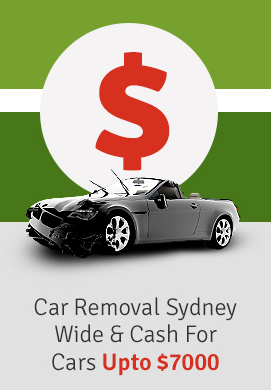 If you’re looking for more information on Greenslip refunds and how to make a claim, Sydney Cash for Cars provides the following information on it. Who Is Eligible for A CTP Green Slip Refund? Registered owners of vehicles as at midnight, 30 November 2017 are eligible for Green Slip Refunds. If a vehicle was purchased immediately before 30 November 2017, and transfer papers lodged before 1 December 2017, then the new owner will be eligible for a refund. Failure to lodge transfer papers before 1 December 2017 will mean that the vehicle’s previous owner is the one eligible for a refund. You are not eligible for a refund if your refund amount happens to be less than the minimum $10 threshold before or after a small administration fee was applied. Also, motorcycle owners are not eligible for refunds as the reforms have not affected their Green Slip prices. All you need to do is go to the Service NSW website and make your claim. You will need a MyServiceNSW Account to make the claim. Don’t have an account? No worries. Just create one here. Online claims can be made between 7 pm – 7 am Monday to Saturday, and all-day Sunday. Alternatively, you can also make claims over the phone by calling a Service NSW CTP refund personnel at 1300 287 733, from 7 am – 7 pm Monday to Friday. You also have the option of going to a Service NSW service centre in person to make the claim. Refunds are made through electronic fund transfer (and by cheques in some instances) and can take up to ten days to be processed. You will be required to provide your bank’s BSB number and bank account details when making a claim. 30 September 2018 is the cut-off date for refund claims. Those who received refund cheques should also deposit them by this date. Failure to claim by then means that your unclaimed refund amount will go towards providing benefits for people injured in car accidents in NSW.